Discover imperial and early Christian Rome and millennia of history as you descend into the Eternal city's underground burial chambers, its long winding catacombs and its crypts. Go below and beyond to a time when Christianity was considered a simple cult whose members were executed as pagans and buried as martyrs. 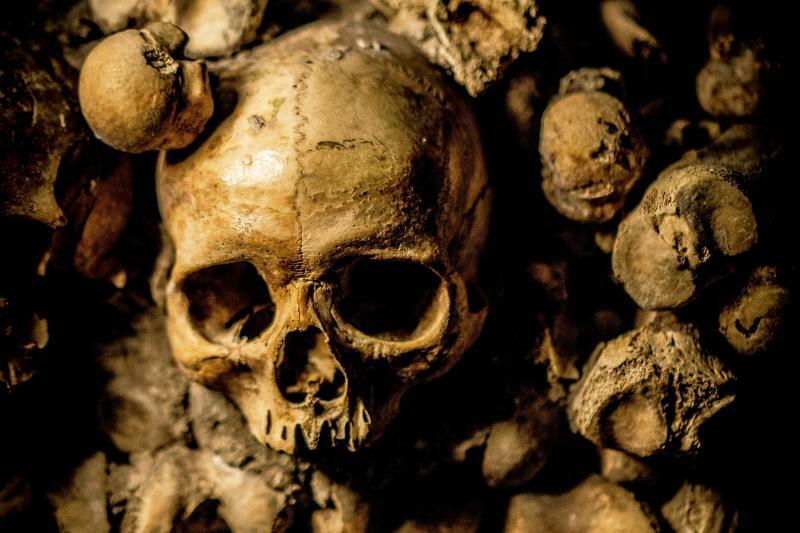 The one and only tour that takes you to crypts and catacombs from different historical eras, in various locations and with varying styles. Much of what Rome has to offer is buried underground-and through this tour, our guests can discover the underside of Rome through three select sites--The Cappuccini Crypt (chapel decorated entirely by human bones), Domitilla Catacombs (ancient Christian burial ground) and the Church of San Clemente (built over an ancient fourth century church built over an even older Roman house containing Christian artifacts and a pagan temple-with ruins reaching 57 feet deep).